cohgis.VENDOR.HGAC_Museums Tags museum, tourism, center, art, science Summary Museum locations. Description Museums within the H-GAC region. Polygons of where junk waste is provided by the City of Houston Solid Waste Management Department and the pick-up schedule for junk waste. Polygons of where trash pick-up is provided by the City of Houston Solid Waste Management Department and the pick-up schedule for trash pick-up. 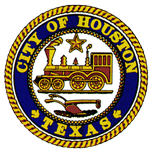 Polygons of where recycling is provided by the City of Houston Solid Waste Management Department and the pick-up schedule for recycling. METRO Transit Centers that are in operation. Existing Park & Ride Locations. Locations are specific.